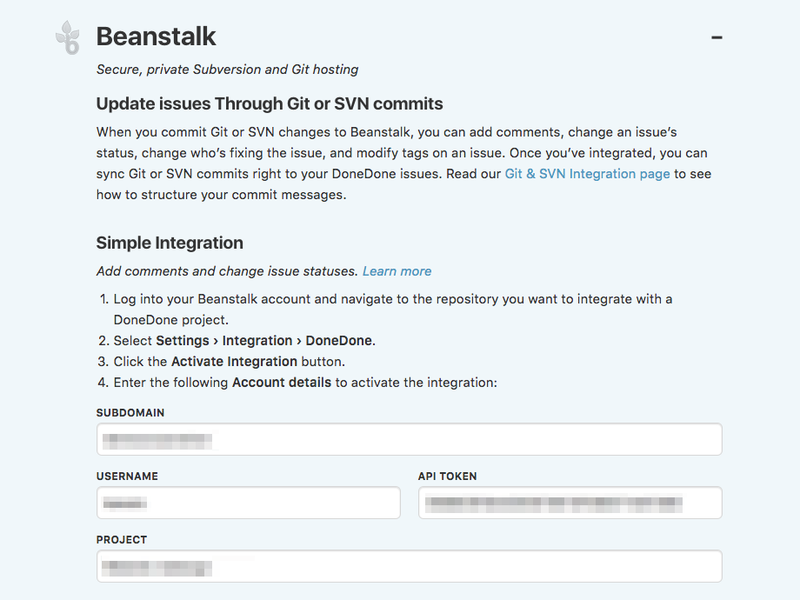 You can update issues in DoneDone each time you make a Subversion or Git commit to Beanstalk. This article will explain how to get the integration set up. For full documentation, head to our Subversion & Git page. Click on the Beanstalk section and follow the instructions provided to connect your repository to the project.